Brett Jodie's biography on Baseball-Reference.com shows the South Carolinian wearing a New York Yankees cap. If one looks at it closely, the now 38-year-old appears proud and confident. Why not, this is THE fabled Bronx Bombers. In fact, the right-handed pitcher only appeared in one regular season game for the Yankees and gave up three home runs in a start that lasted all of two innings. He also appeared in seven games in that same 2001 season for San Diego (0-1, 4.63), and that was the extent of his major league experience in a playing career that spanned ages 21 to 28 and included 59 mound victories and only 35 losses., an impressive .628 percentage. Jodie obviously learned a great deal along the way, enhanced by playing for longtime Somerset manager--and Yankees bullpen legend--Sparky Lyle, winning 15 of 25 decisions in '02-03, then serving as Lyle's pitching coach and player acquisition rep for a period before taking over the Patriots' managerial reigns three years ago. 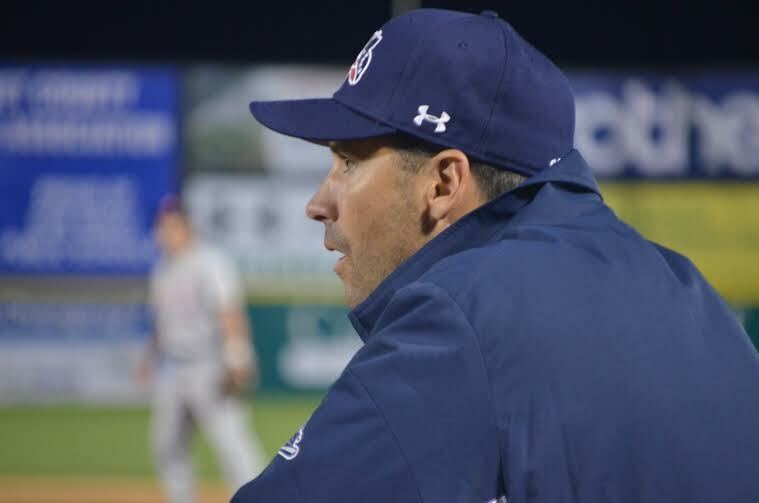 He has put together three stunning campaigns in which Somerset has gone 90-49, 85-55 and this year 89-50 in the regular Atlantic League season, a composite 264-154, .632 record. He also has earned considerable praise such as this from longtime MyCentralJersey.com beat writer Mike Ashmore earlier this summer: "Jodie is not only as well-respected as anyone in the league, but is arguably the most respected man in his own clubhouse; he's earned a reputation as being a player's manager that encourages a light atmosphere from a hard-working group, the ultimate recipe for success." Jodie's own description of his work to Ashmore at that time was to "be confident, do things the right way and how you know they're supposed to be done and don't expect credit for it. Just do your job the right way, take care of it and stay even keeled." All of this has Jodie and the Patriots sitting on top of the mountain after they won the organization's record sixth Atlantic League title this week, taking three consecutive games from Southern Maryland after the Blue Crabs had won the Championship Series opener.